A mattress topper is something you can place on top of your bed mattress so that your baby can have a comfortable sleep with you. Sometimes babies do not sleep until they feel the presence of their mother and sleeping on mother’s mattress will not be comfortable for the baby’s gentle skin and body. They need more gentle care. You can use a crib for this but the baby may wake up. The mattress topper is the best solution for that. The advantage of this accessory is that you can carry it around wherever you go. You can be worry free even when you go on a trip. But the baby products that we use should be ideal for the baby’s age. Milliard, a pioneer in the production of baby products and furniture has the right product for this purpose. This Milliard Mini-Crib memory foam mattress topper review will give you an idea of this product and the purpose it serves. The Milliard Mini-Crib memory foam mattress toppert is made of memory foam so that heating effect will not be there while your baby is sleeping. The mattress topper measures 38 x 24. It has a thickness of 2-inches with a weight of 3.4 pounds. The Milliard Mini-Crib memory foam mattress topper is not suitable for Pack n’ Play sets. 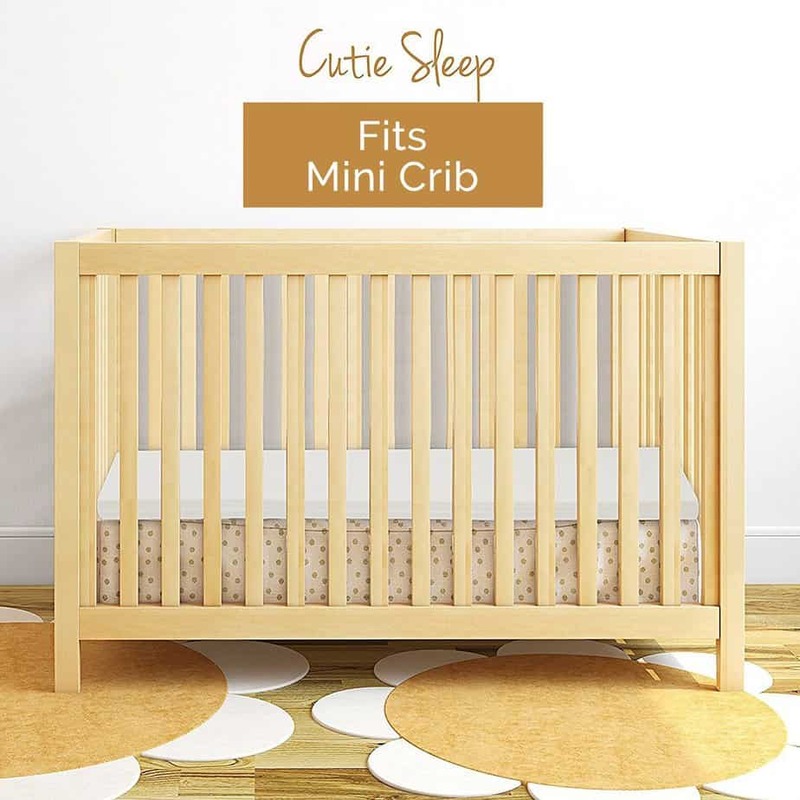 This will fit only in cribs hence this is custom made for mini cribs. Now let us see the features that make this mattress topper the best in the business. This mattress topper gives the same comfort that he/she gets by sleeping in mother’s arms. This is possible by using the memory foam, which is firm enough and is resilient enough. It is medium-firm, measuring 11 ILD with a density of 2.5 pounds. The memory foam gives the most important safety to the gentle skin of your little one. This is made possible by the open cell structure in the foam. This structure gives air ventilation and saves the baby’s skin from suffocation. The hypoallergenic cover is the next feature I want to mention in this Milliard Mini-Crib memory foam mattress topper review. The mattress topper comes with a cotton (65%) zipper cover that can be washed in a machine. The cover protects the mattress topper from mold, bacteria, allergens, and dust mites. These microorganisms can cause serious skin allergies to your little one. Since the Milliard Mini-Crib memory foam mattress topper can be rolled easily the storage becomes easier while traveling. You can even use this as a mattress. Since it is made of memory foam flattening will not happen. The above points prove that Milliard has made a mattress topper especially for infants. Since the material used here is comfortable for your baby, he/she is going to get a sound and healthier sleep every night. The portability of this mattress topper lets you continuously provide this comfortable sleep to your little. Here ends the Milliard Mini-Crib memory foam mattress topper review and is time to make the choice.